This post is sponsored by Therm O Web and contains affiliate links. As always, all opinions are my own. 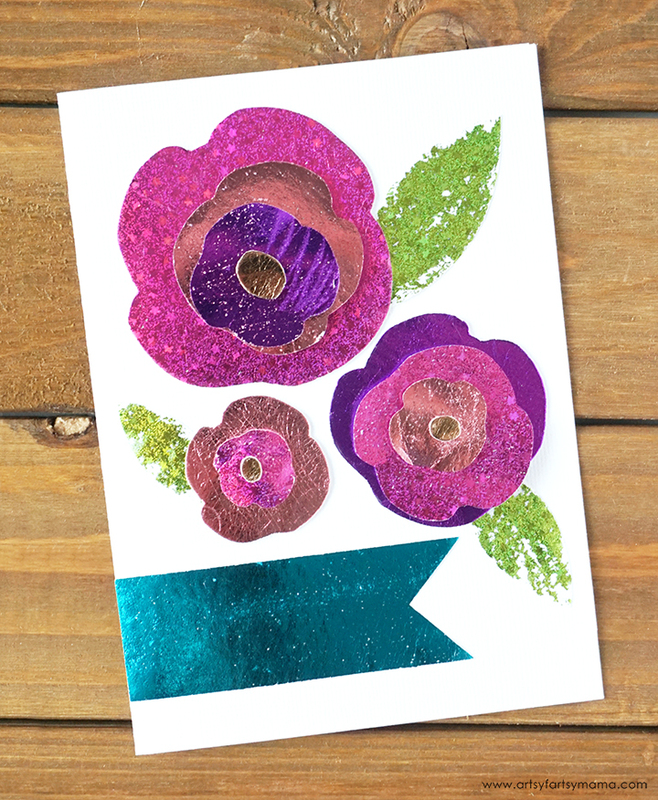 Tell mom how much you love her with a handmade Foiled Mother's Day Card! No matter what you decide to give for Mother's Day, you probably should include a card. 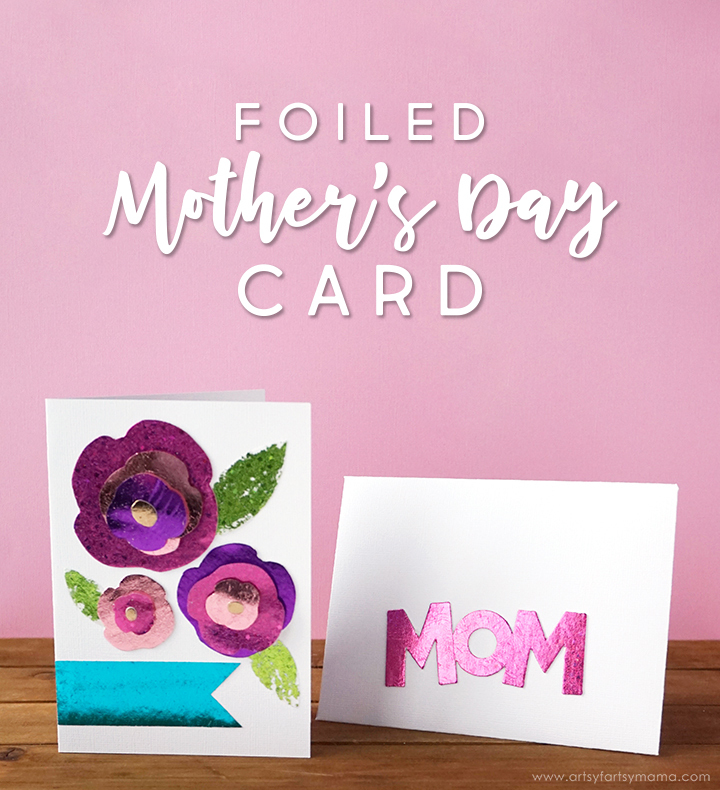 This gorgeous, foiled Mother's Day card looks just as good as any card you can find in a store, but your mother will love it even more because you made it for her! 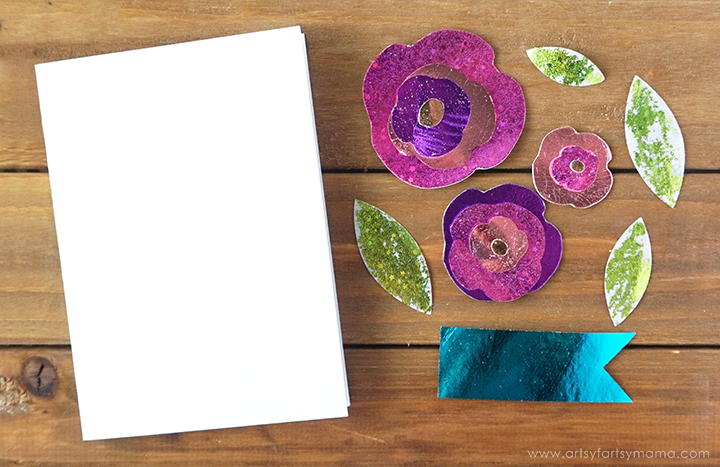 With a little help from Deco Foil, this card is simple to make even if you are new to the art of foiling. 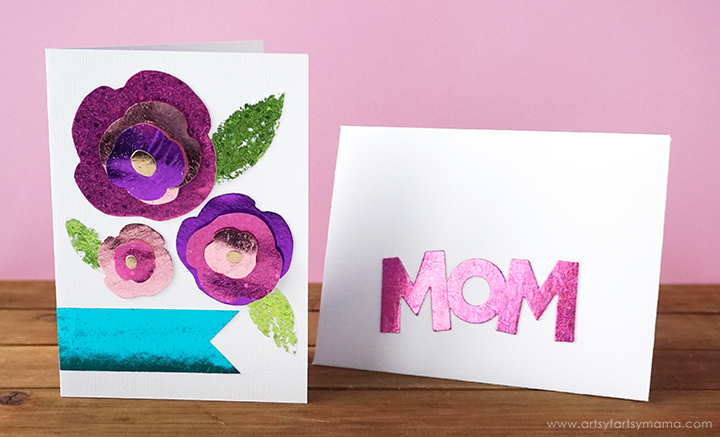 Open up the Mother's Day Card & Envelope canvas in Design Space. I cut the flower layers out of both Deco Foil White Foam Adhesive and Rebekah Meier Designs Mixed Media Adhesive Sheets to give some different textures. I also cut "mom" out of foam, and the leaves out of iCraft Mixed Media Sheets. Place each of the cutting materials on a Cricut LightGrip Mat (blue) and cut according to the setting tips below with the Cricut Maker. *Cut the foam adhesive on the "Craft Foam" setting with extra pressure for best results. The adhesive sheets cut great on the "60 lb cardstock" setting, and the light mixed media sheets cut perfectly on the "copy paper" setting. 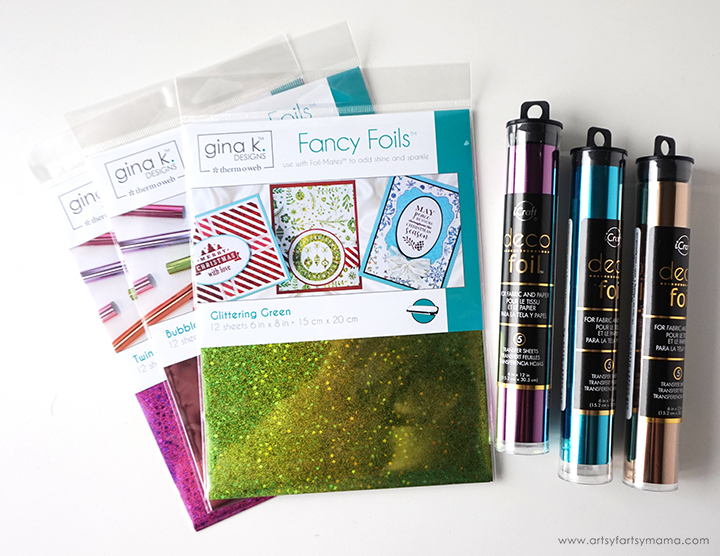 I used a mix of Deco Foil Transfer Sheets (in Teal, Rose Gold, and Purple) and Gina K. Designs Fancy Foils (in Bubblegum, Glittering Green, and Twinkling Pink) to easily add vibrant color and brilliant, metallic shine! The envelope is the simplest part of this project, so start with that. Fold along the scored lines and crease well. Fold in the smaller sides and add a line of tape runner on each one. Fold the bottom edge up and press it well over the sides so the paper sticks together well. The foam adhesive sheets have backing on both sides. 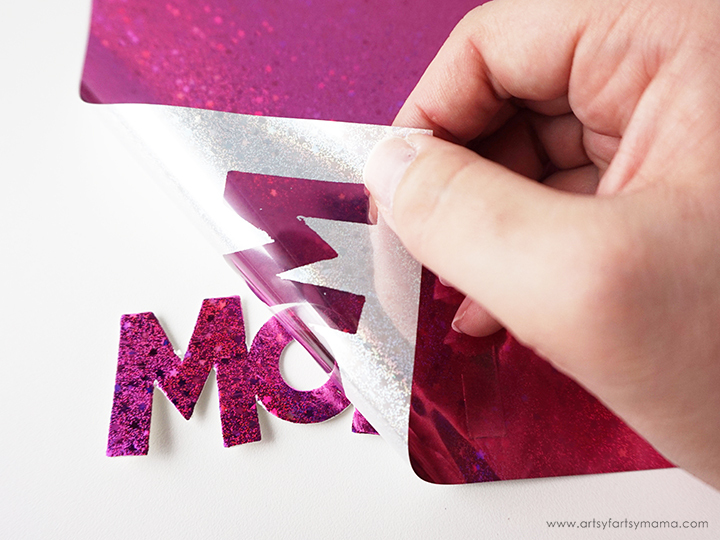 Peel the top layer off of the foam adhesive "Mom" piece. Carefully lay a Twinkling Pink foil sheet over the foam. Press well with some pressure and smooth the foil with your fingers. Let it sit for about 30 seconds, then slowly peel the foil away. The foam is now foiled beautifully!! 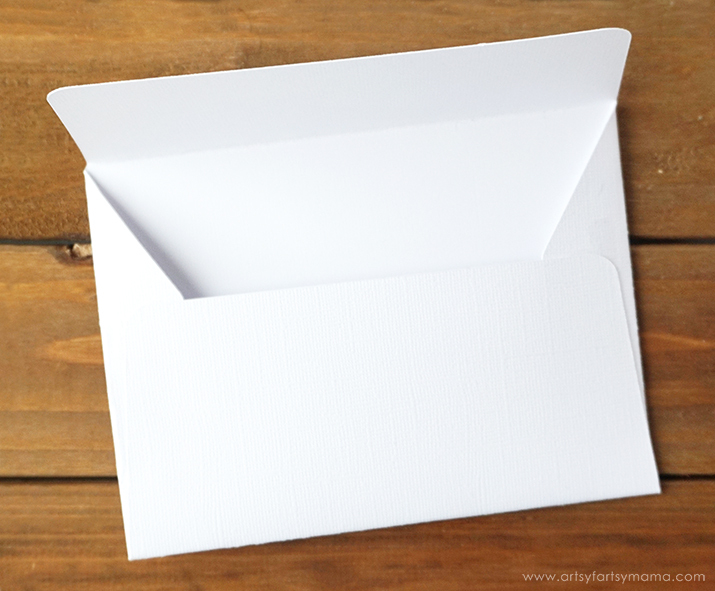 Peel the backing off of the "Mom" and stick it down on the front of the envelope. Now the envelope looks chic and there's no question who this card is for! I tried a different technique with the leaves. The iCraft Mixed Media Sheets is a thinner paper without any adhesive. 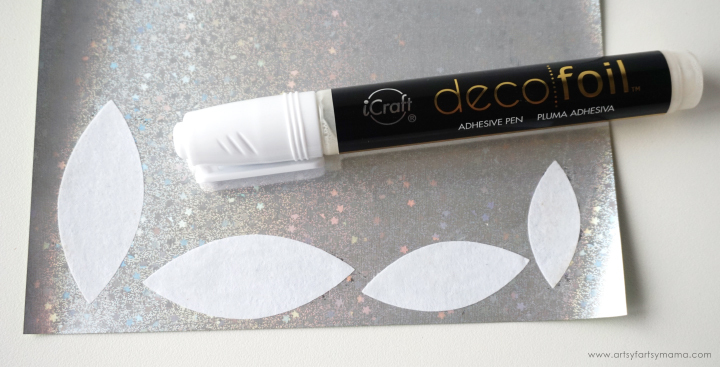 Using the Deco Foil Adhesive Pen is a great adhesive to apply to paper so you can foil it easily. Use the pen like you would any other pen. 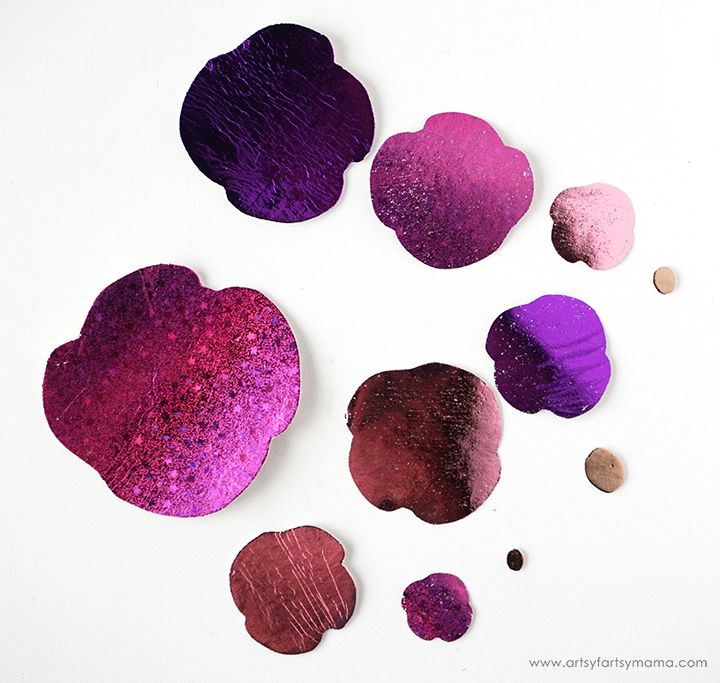 Carefully "color" the adhesive on the leaves, and wait a few seconds for them to get tacky. Stick them to the underside of the foil and let them sit to completely dry. All of the flower pieces were cut out of both both Deco Foil White Foam Adhesive and Rebekah Meier Designs Mixed Media Adhesive Sheets, so I didn't need to apply any other adhesives. All you have to do is peel the adhesive backing off, and stick the paper well to the back of the foil. 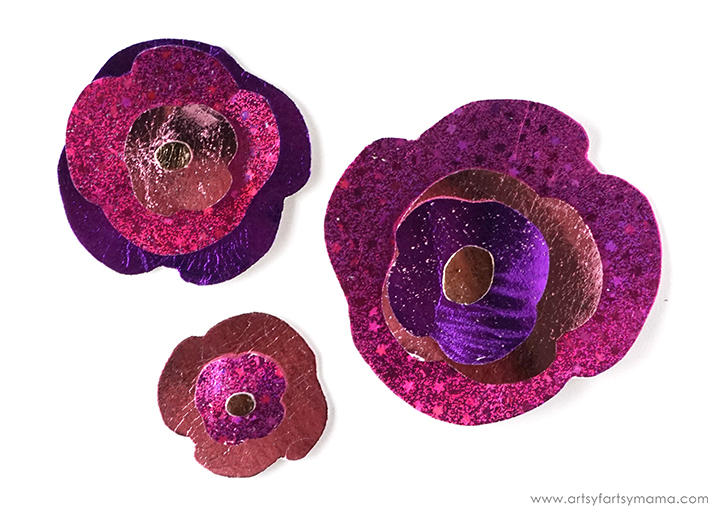 I used a mix of Rose Gold, Purple, Bubblegum, and Twinkling Pink foils to make each flower a little bit different. To assemble the flowers, I used 3D Foam Squares in between the layers to give them dimension and make them pop right off the page. After assembling the flowers, I added Teal foil to the banner and peeled the leaves off of the Glittering Green foil. Honestly, the leaves didn't come out perfectly foiled, but I do like how they seem to have a "painted" look. Use a couple lines of tape runner to the back of the teal banner. Place it on the front of the card a little more than 3/4 of the way down. Place the flowers and leaves down without any adhesive to get an idea where everything is going to fit. 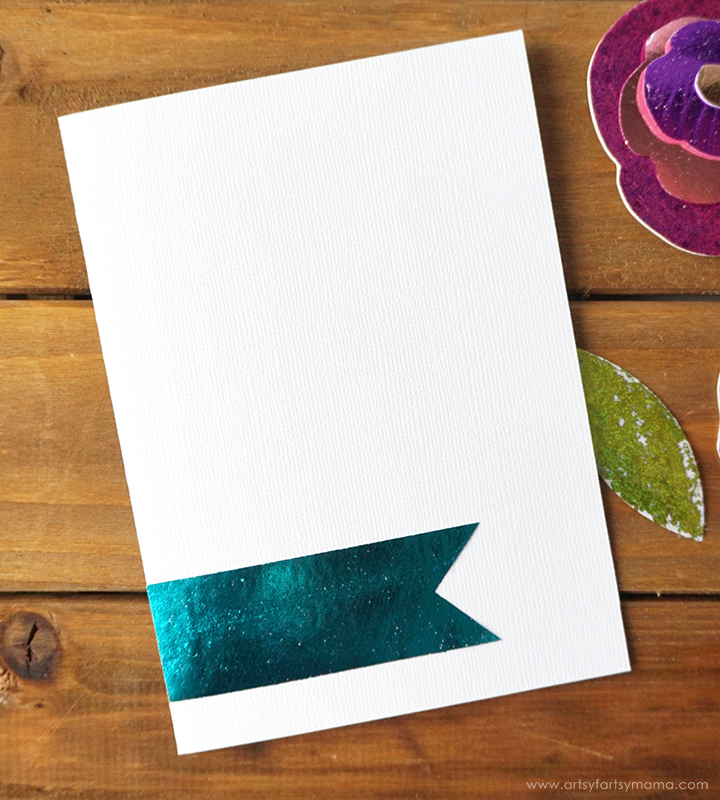 When you're ready, add a line of tape runner to the back of a leaf and place it on the card. Then, peel the backing off the bottom foam flower layer and stick it down over the edge of the leaf. Repeat for all three flowers and leaves. Now the card is complete and ready for you to write your message inside. I love how this card turned out, and it's so fun how each card you make will be different! 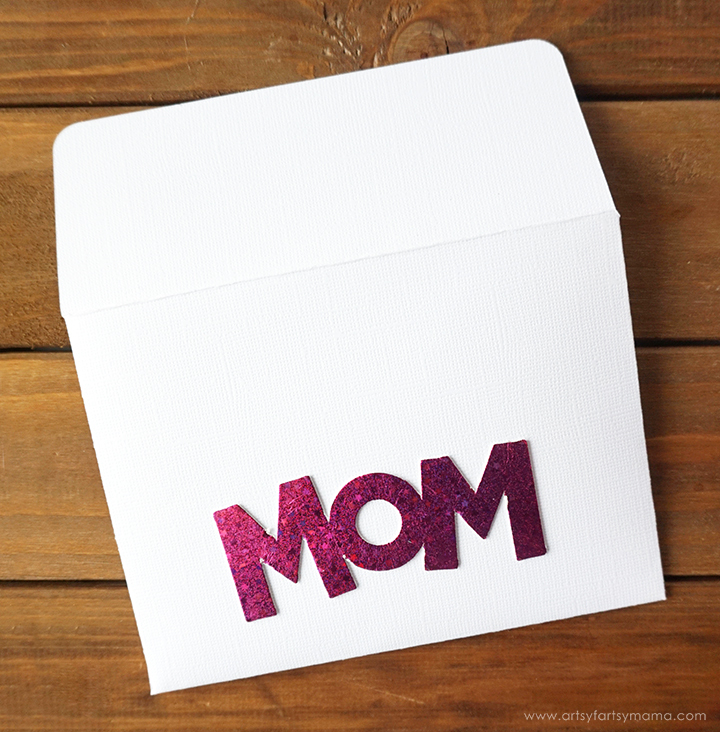 Place the card inside the envelope and share it with any mother figure in your life. 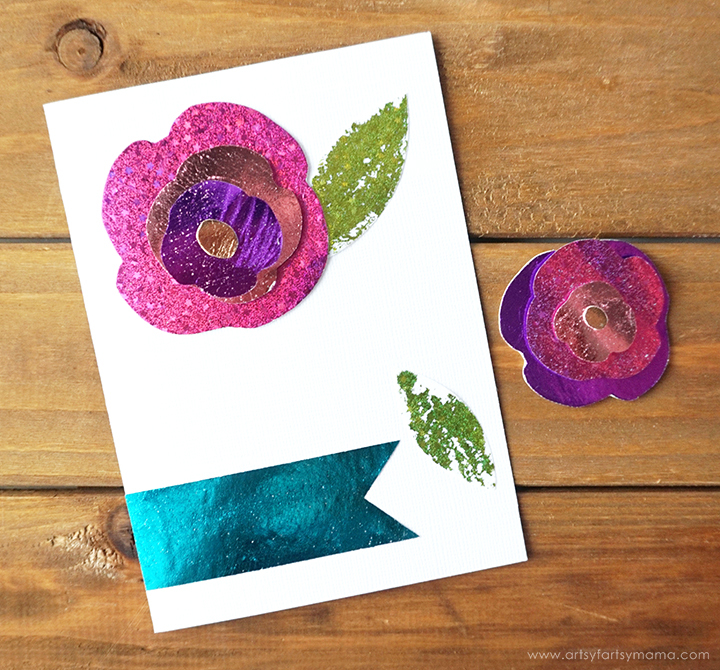 This was such a fun card to make, and there are so many possibilities with Deco Foil. Now I can't wait to foil ALL of the things! 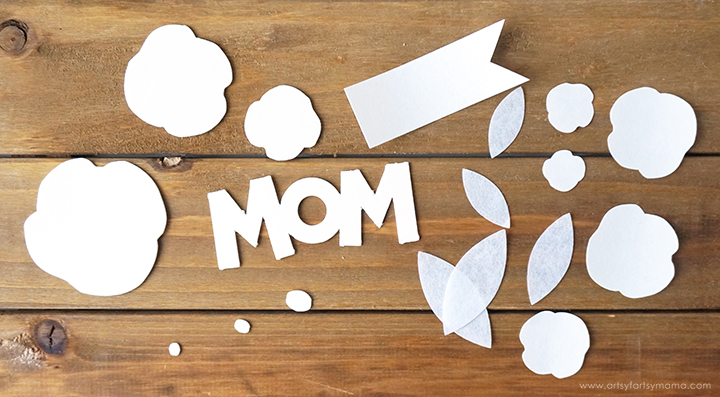 What are some of your go-to Mother's Day gift ideas? What an adorable card set perfect for Mother's Day, Birthdays and so much more!